Sanford, FL – April 20, 2016 – More than 200 community members, students, and representatives from Orange County Public Schools (OCPS) gathered on Saturday, April 16, 2016 to commemorate the historic groundbreaking of the new OCPS middle school to be built off Wewahootee Road in the South Orlando community known as Lake Nona. Division Manager Todd O’Donnell helped set the plan for a playground in motion more than seven years ago. His 11-year-old daughter Katherine has been a student at LaVoy since the age of three and he wanted to help the school obtain a playground specifically built for the students. In April of last year, Wharton-Smith donated $5,000 towards the design and provided pro bono general contracting services to pour the concrete slab and construct handicap ramps. Sanford, FL – March 30, 2016 – Wharton-Smith, Inc., one of Central Florida’s largest locally based general contractors recently celebrated the completion of the $5 million renovation project for the University of Central Florida’s Business Incubation Program. More than 100 guests gathered, including Congressman John Mica, representatives from the Office of Economic Development for Orange County, members of the East Orlando Chamber of Commerce, and Directors of the UCF Business Incubation Program for a ribbon-cutting ceremony commemorating the grand opening of the newly renovated facility. Sanford, FL – March 17, 2016 – Wharton-Smith joined with students, faculty and donors of the University of Central Florida’s Athletic Department to cut the grand opening ribbon on the Wayne Densch Center for Student-Athlete Leadership, the new headquarters for student-athlete personal, professional and academic development. Located next to UCF’s award-winning Bright House Networks Stadium, also built by Wharton-Smith, the three-story, 21,700 s.f. facility includes offices, computer labs, conference space, a multi-purpose classroom which will hold 200 students, tutoring and mentoring rooms, study space, and resource rooms. Sanford, FL – February 16, 2016 – Wharton-Smith joined with Osceola County Commissioners, Fire Chief Robert Sorenson, architect C.T. 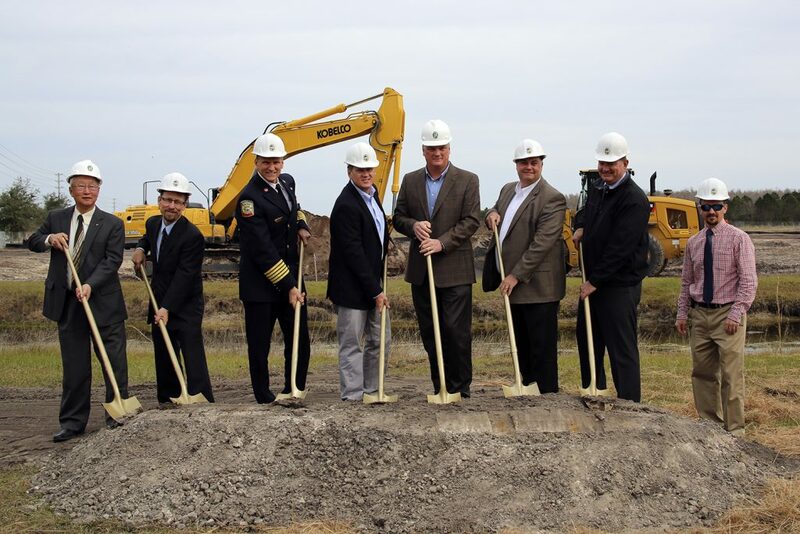 Hsu + Associates, and community members, on February 15 to break ground on the County’s new Fire Station 64. 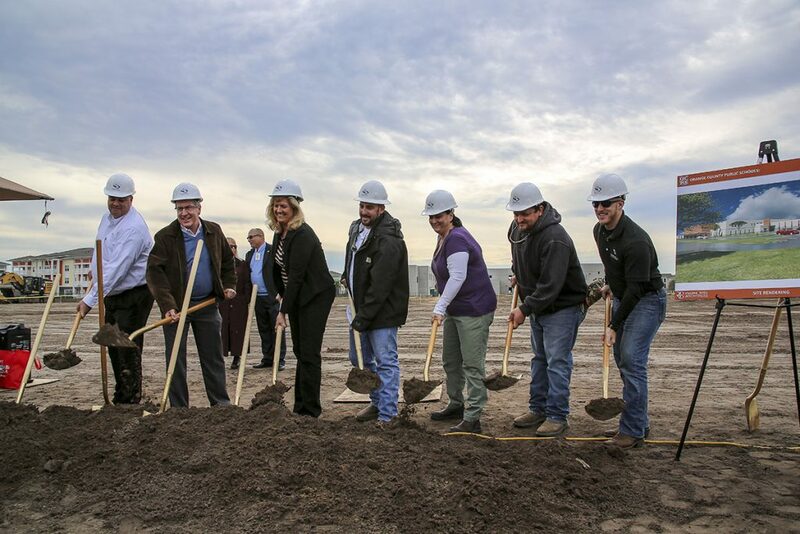 Sanford, FL – January 29, 2016 – Wharton-Smith officially broke ground January 26 on the City of Casselberry’s 20-acre Lake Concord Park development. Touted as a new gateway to Casselberry, the mixed-use project will feature luxury apartments, restaurants and retail, with public gathering areas, playgrounds, pathways and lakes. Sanford, FL – January 15, 2016 – Wharton-Smith joined with representatives from the Orange County School Board, design team members, community members, and students and staff of Millennia Elementary School on January 14 to celebrate the construction of their new school located off of Millenia Boulevard in Orlando. With construction 40% underway, a symbolic groundbreaking was held marking a significant milestone for this community and commitment to the families and students who live there. 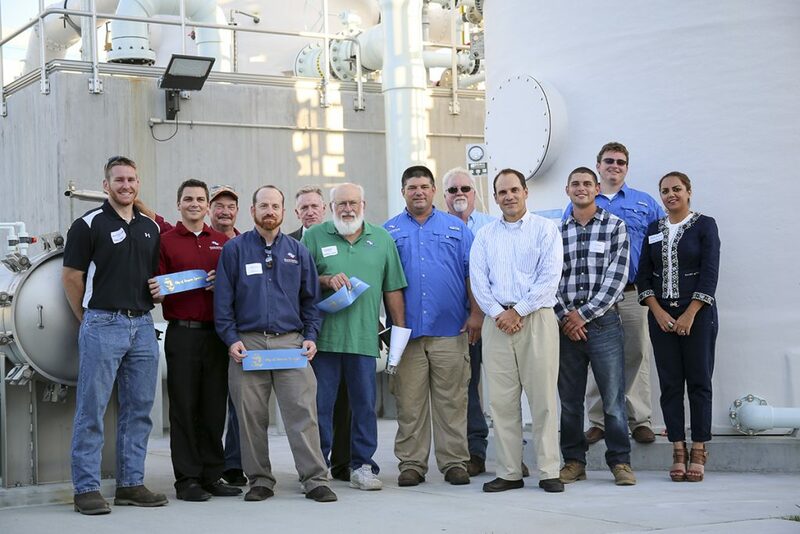 Sanford, FL – December 22, 2015 – After more than a decade of challenges and delays, the new Tarpon Springs Reverse Osmosis Water Treatment Plant celebrated the facility’s grand opening with a ribbon cutting ceremony on December 16, 2015. More than 150 gathered at the plant’s entrance to commemorate the occasion. 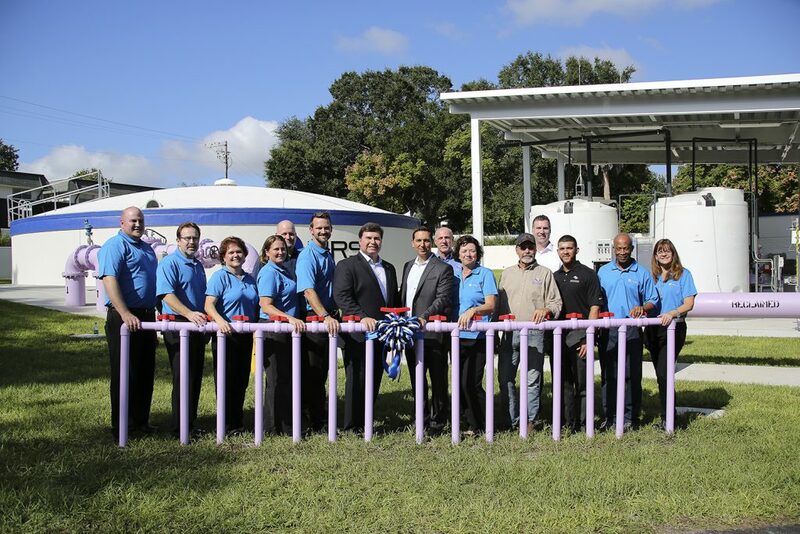 The grand opening marks a new milestone for the City of Tarpon Springs, making the city an independent water supplier with the ability to supply its residents their own drinking water. Sanford, FL – On November 20, 2016, Wharton-Smith joined with local and state officials to celebrate the grand opening of the Altamonte Springs-FDOT Integrated Reuse and Stormwater Treatment (A-FIRST) project, an innovative water reuse system that captures and treats stormwater runoff from Interstate 4. The reclaimed water will be used for irrigation throughout Altamonte Springs and in nearby Apopka.